Bromo has a height of 2392 meters above sea level is located in four regions, namely Probolinggo, Pasuruan, Lumajang, and Malang. Mount Bromo mesh body shape between valleys and canyons with a caldera or a sea of ​​sand covering approximately 10 square kilometers. 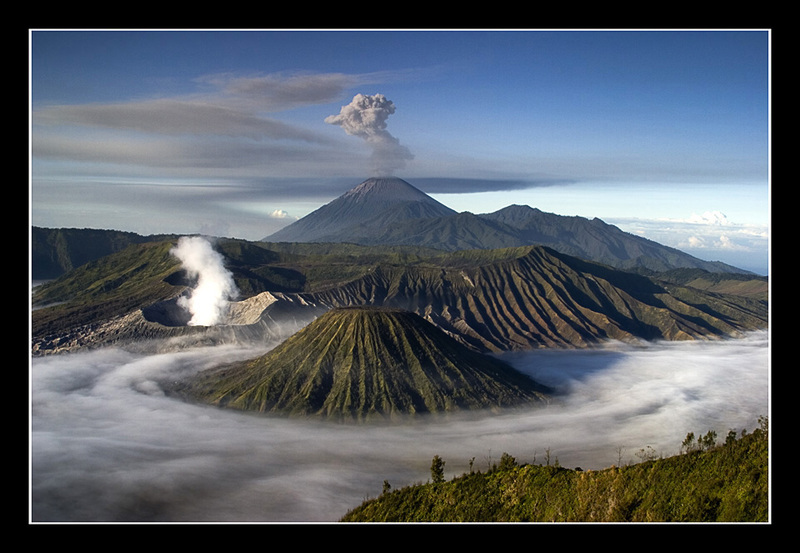 Mount Bromo has a crater with a diameter of ± 800 meters (north-south) and ± 600 meters (east-west). 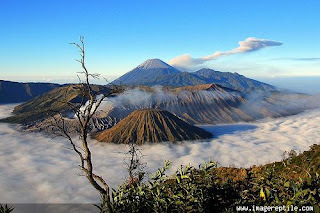 While the danger area of ​​a circle with a radius of 4 km from the central crater of Bromo. 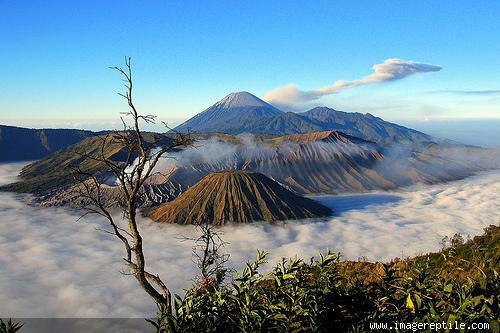 For residents of Bromo, Tengger tribe, Mount Brahma (Bromo) believed to be a sacred mountain. Once a year the community held a ceremony Tengger Yadnya Kasada or Kasodo. This ceremony is held at a temple located at the foot of Mount Bromo and proceed north to the top of Mount Bromo. The ceremony was held at midnight to early morning every full moon around 14 or 15 in Kasodo (tenth) according to the Javanese calendar.